Ignite the darkness with this 18V Battery Powered Light. 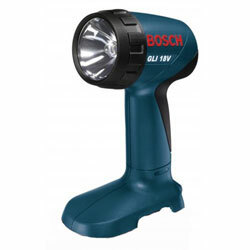 It is a cordless flashlight that illuminates the darkness with a powerful 4,5000 Lux xenon bulb. This high intensity lighting is perfect for working on or under your car, as well anywhere else you need extra lighting. The long-lasting Lithium-Ion battery provides a long charge time, so it is ready to use when you need it.